Who doesn't love all-star super group tributes to Tom Petty? 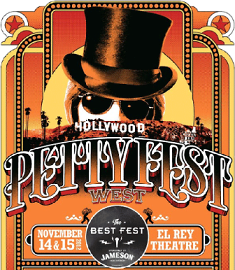 Since we know you do, we're giving away two pairs of tickets to the Petty Fest West with The Cabin Down Below Band at the El Rey, one pair for Wednesday, November 14th and the other for Thursday, November 15th! Today is your last chance to enter! Keep reading on for details on how to enter to win. This year's annual Petty Fest debuted in New York City last month, and the first ever Petty Fest West is coming to Los Angeles next week! The N.Y.C. event has sold out tons of times and this show is not to be missed. 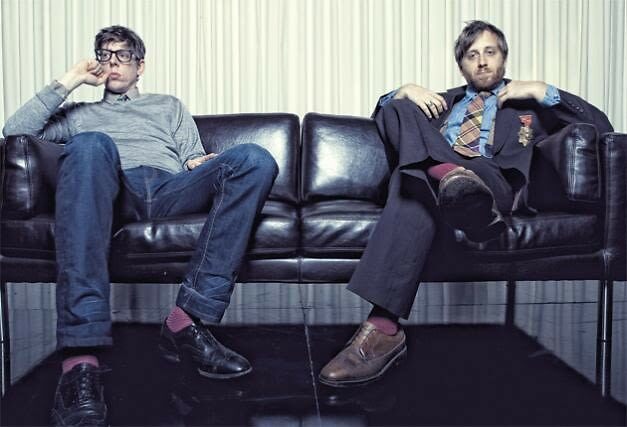 The Los Angeles version features Pat Carney of The Black Keys, Nick Valensi and Fabrizio Moretti of The Strokes, members of Eagles Of Death Metal, Harper Simon, Nicole Atkins, Har Mar Superstar, Bijou Phillips, Ryan Miller of Guster, Justin Barha, Jenny O., Rodrigo Amarante, Adam Busch with more guests to be announced. All you need to enter for a chance to win a pair of tickets the Petty Fest West show (courtesy of our good friends at Goldenvoice) is a Facebook or Twitter account and just head to the Guest of a Guest Facebook page, make sure you 'like' us and tag yourself in this photo, and/or follow us on Twitter and Tweet @GofGLA telling us why you should win (doing both ups your chances)! If you're a huge Tom Petty fan, you should try to convince us to choose you in a comment underneath the Facebook photo too. We'll pick each winner for both shows (the November 14th show AND the November 15th show) on Monday, November 12th by 1pm PST.